Grand Finale: Who Will Be Crowned Australia's No.1 Food Family? After four weeks of heated competition in the kitchen with six feisty families, the inaugural Family Food Fight is heating up for a nail biting conclusion on Monday, November 27, at 7.30pm on Nine. Having won last night’s Recipe Relay challenge by replicating acclaimed chef Kylie Kwong’s “Chinese Feast” to the highest standard, the Shahrouk sisters became the first team to advance to the Grand Finale and the title of Australia’s Number One Food Family. For Halla, Houda, Leeann and Rouba Shahrouk, doing well in the Recipe Relay was not only a massive relief but evidence of their growth and development throughout the competition. As home cooks, the Shahrouks rely on intuition and instinct, flavour and feel. They have previously struggled when confined to following a recipe to the letter. But this time they were thrilled to nail the challenge. Two more families will now face the last Elimination Challenge on Sunday night to secure the other place in the Grand Finale: the Panayides (Soulla, Con, Fanos and George) and the Butlers (Aleks, EJ, Kate and John). We can expect the temperature in the kitchen to rise for the Elimination when these families make a dish featuring Tom Parker Bowles’ favourite ingredient: chillies. Then, in round two of Elimination, it will be a battle of the Festive Season Feasts. Both families need to pull out all stops to make it to the final culinary showdown. Will the fiery Panayides reign supreme, finally harnessing their passion and working as a team, or will the super-competitive Butlers put their heads down and just get the job done? The Butlers risk being rattled by their first outing in an Elimination challenge, while the Panayides may be able to draw strength from their win last week over the Gibaldis. It promises to be a fight to the end to see which family tastes sweet victory and joins the Shahrouks in the kitchen on Monday night when the $100,000 grand prize will be on the line. 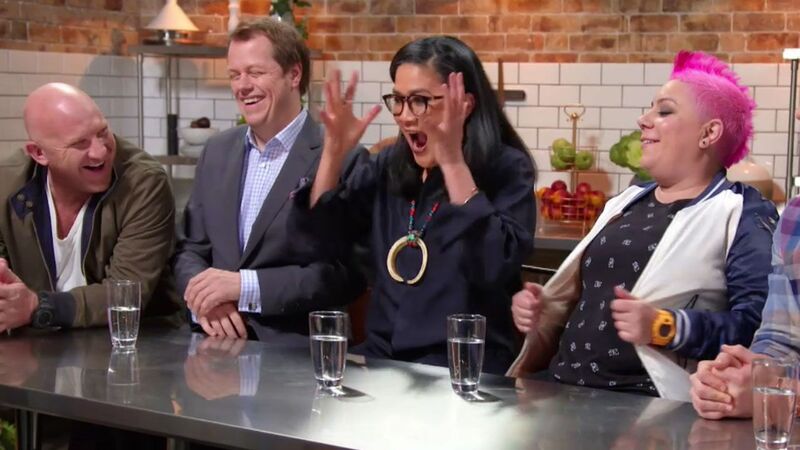 In the Grand Finale, each family must prepare a three-course meal for 40 special guests as well as judges Matt Moran, Tom Parker Bowles, Anna Polyviou and Hayden Quinn. Without doubt, this will be the most important meal of their lives. Don’t miss Family Food Fight, Sunday, November 26, at 7.00pm for the Final Elimination, before the series culminates with the crowning of Australia’s Number One Food Family in the Grand Finale on Monday, November 27, at 7.30pm on Nine.